This two-story Citrine plan has a well laid out plan that provides a space for everything! On the main floor, at the front of the home you'll find a study with powder room adjacent. At the back of the home is an open entertaining space that includes a great room with fireplace, dining area, and kitchen with a center island and a pantry. Upstairs, you'll discover three bedrooms including the master suite with a private bath and walk-in shower. There is a full bath, and a convenient laundry room which is central to all three bedrooms. This home is under construction and will be available in August. 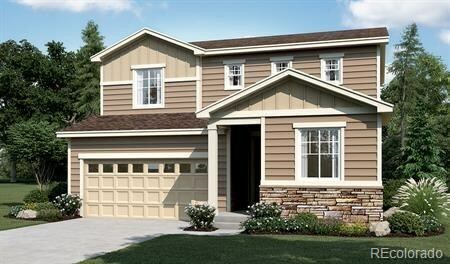 This community is located in a quiet setting just four miles from Fort Collins.